HOLY COW - we're back at it! 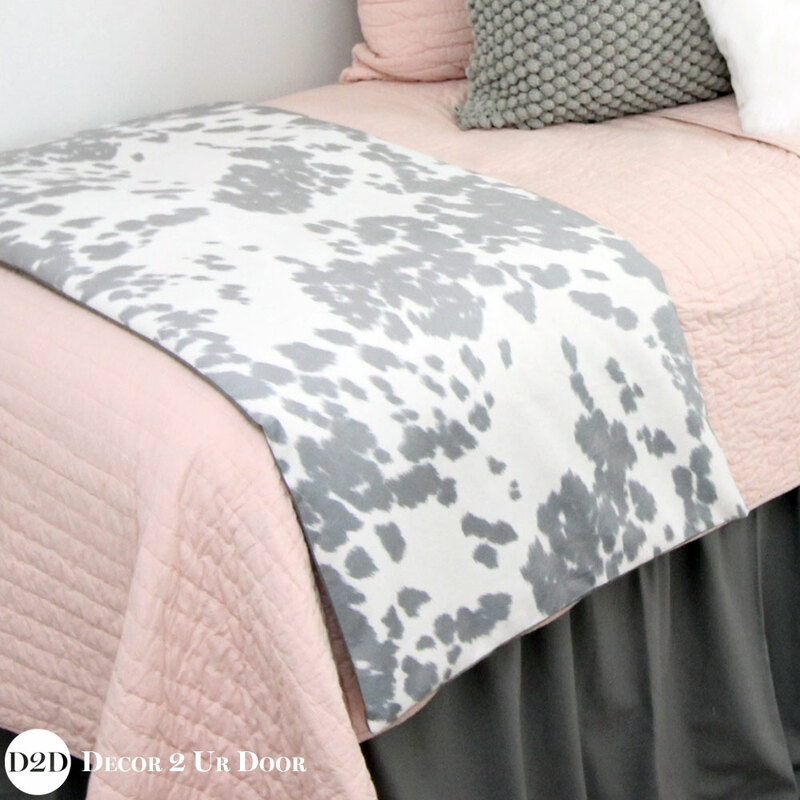 A twist on our tan cowhide best seller, this blush pink and grey cowhide dorm bedding set has us moo-ing for more! 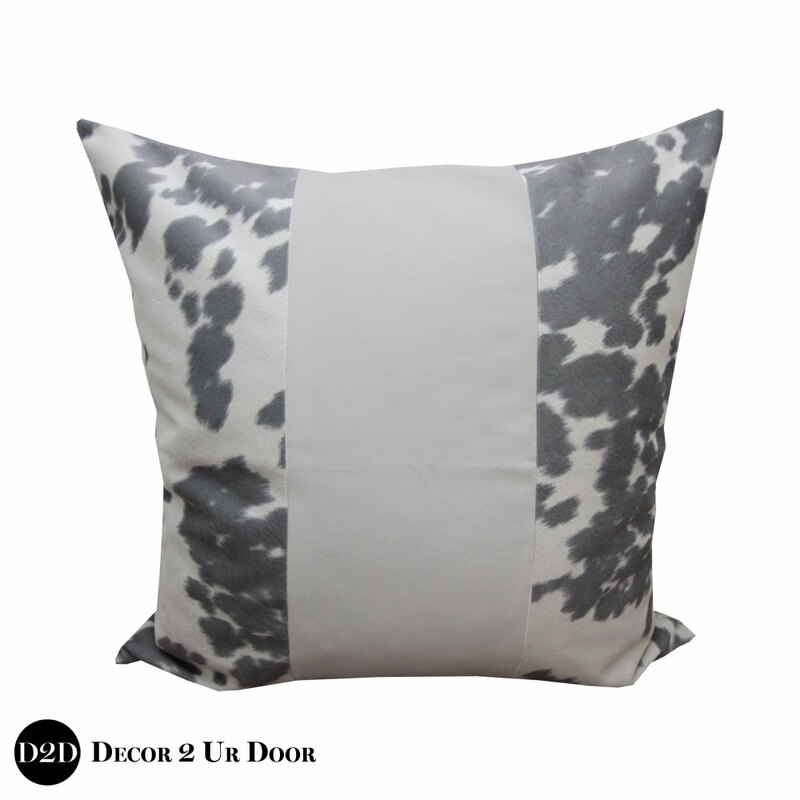 Our fabulous grey faux-cowhide is complimented with grey textures, ivory fur, and of course - blush pink. 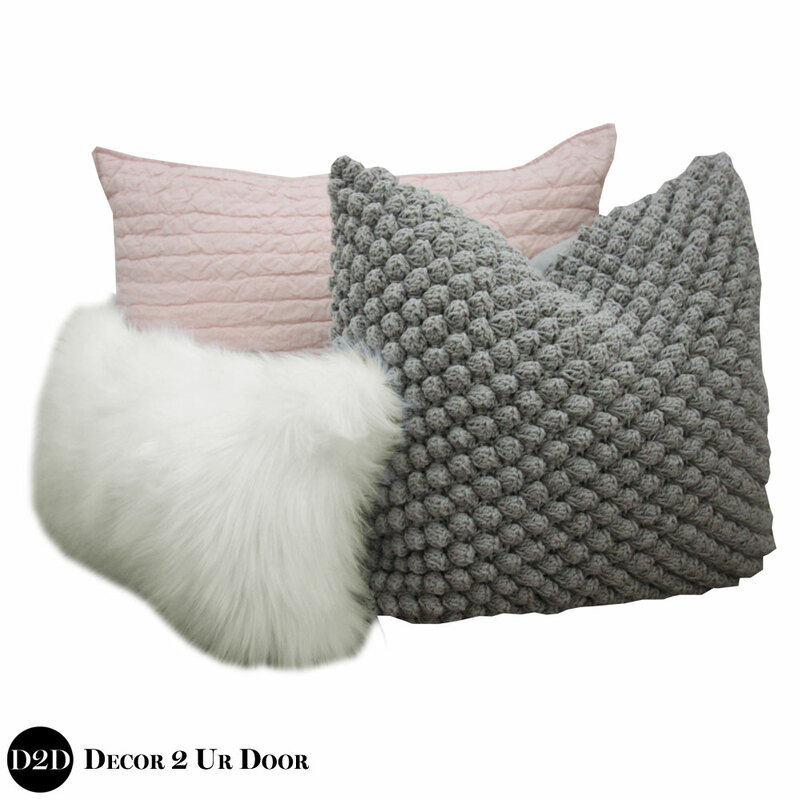 This look is a show stopper!